Andersen’s Windows and Doors come in different series/models. View the list below to start comparing. Andersen E-Series, formally known as the Eagle Series, is a highly customizable series of windows and doors. This includes Patio Doors. Find custom colors, dramatic sizes, dynamic shapes, exotic woods and more. This is great if you’re searching for Andersen replacement windows. Get the freedom to custom design windows and doors for the home of your dreams. The A-Series is modeled from the American Architectural design with inspiration coming from research done on 23 different home designs and included the input from 50 Architects, home builders, designers and engineers. Every piece of hardware and every accessory easily comes together to allow builders to create the home style they need. The 400 Series brings together the overall blend of performance and style to satisfy just about any window or door need. With years of engineering and craftsmanship these windows are made to match customers’ high standards. By focusing on only the most popular designs and sizes, the 200 Series pays attention to innovation, design, energy-efficiency and price. Customers cannot go wrong when choosing from this series. Low-maintenance, strong and durable windows and doors. Fusion Windows and Doors can install Andersen products for residential entry doors as well as folding, gliding and hinged patio doors. Hinged patio doors come with multi-point locking system. They are easy to install which means our installers spend less time installing them for you. Safety, energy efficiency and durability, all in one product, that’s Andersen. Andersen is a trusted and popular brand for windows of all types and sizes, and we are experts when it comes to installing these windows, or answering any questions you may have. Need more reasons to pick Andersen Windows and Doors? Whether you’re renovating your home or building it from the ground up, the high-performing, dependable products produced by Andersen are one of the top brands we carry and recommend to our customers at Fusion Doors and Windows. New windows and doors can be an important investment, and when you choose quality products like Andersen, your home benefits from better light, comfort, added security and energy efficiency. This is the very reason we, at Fusion go with brands we can trust, and Andersen is definitely a trusted and dependable manufacturer. Andersen Corporation (Andersen Windows and Doors) is the largest windows and door manufacturer in North America, and at Fusion Doors and Windows, we are proud to sell and install this environmentally friendly, high-quality manufacturer as a part of our quality family of products in Los Angeles. For more than a century, Andersen has rooted its commitment to integrity, excellence, innovation, partnership, and corporate citizenship. For this manufacturer, being a responsible corporate citizen includes everything from developing innovative, comprehensive sustainability initiatives to supporting community programs to creating a safe environment for its employees and customers. The company strives to make sustainable improvements across its chain whenever possible – from the forest to the home. They search for new ways to reduce their overall environmental footprint, while maximizing positive impacts across the triple bottom line of people, planet and profit. With dedication to safety and the environment Andersen Windows and Doors values the way they do business and sustainability has been a part of its ‘nature,’ so to speak, for more than a century. Their products come in a variety of materials, colors, styles and series. 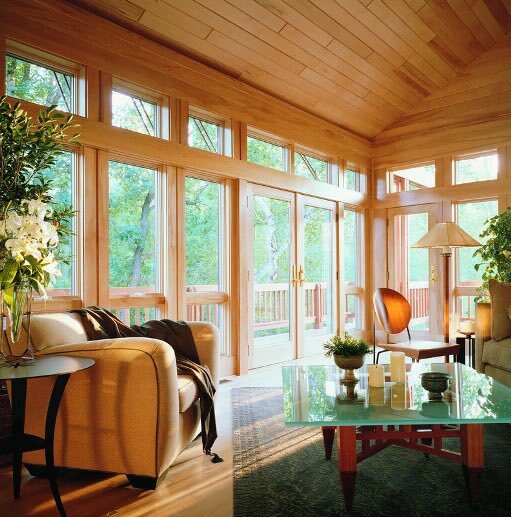 Read below to learn more about the different series of Windows and Doors by Andersen. Check out some info and see some images of some of featured products by Andersen® Windows and Doors that we love installing for customers at Fusion Windows!